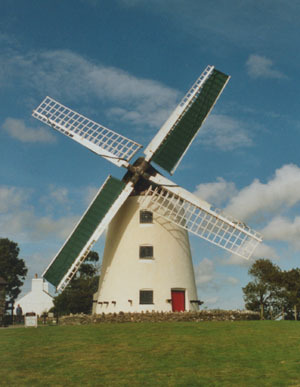 The only working windmill in Wales producing stone ground wholemeal flour. Melin Llynnon is open to visitors (currently April-September, Tuesday and Bank Holiday Mondays (1100-1700) to Sunday (1300-1700). It is well worth going along for a guided tour and perhaps see the mill working. You can also purchase the stoneground flour produced at the mill. See website for full details.